This full-colour tabloid, high-quality publication had a print run of 266,000 copies across the south-east of England including London, the Greater London district, the Home Counties and up to Central England targeting the wealthy, influential AB/ABC1 demographic. With an online distribution model going out to a further 250,000 subscribers. With an emphasis on those who live, work and prosper in the countryside, whether from a cultural or pragmatic perspective, this quality newspaper publication put an emphasis on how the rural economy, and the people within it, provide a vital economic contribution to British society. It gave The Sunday Telegraph readership a deeper insight into rural living, while also providing an enticing shop window for new and exciting ways for consumers to enjoy the British countryside. 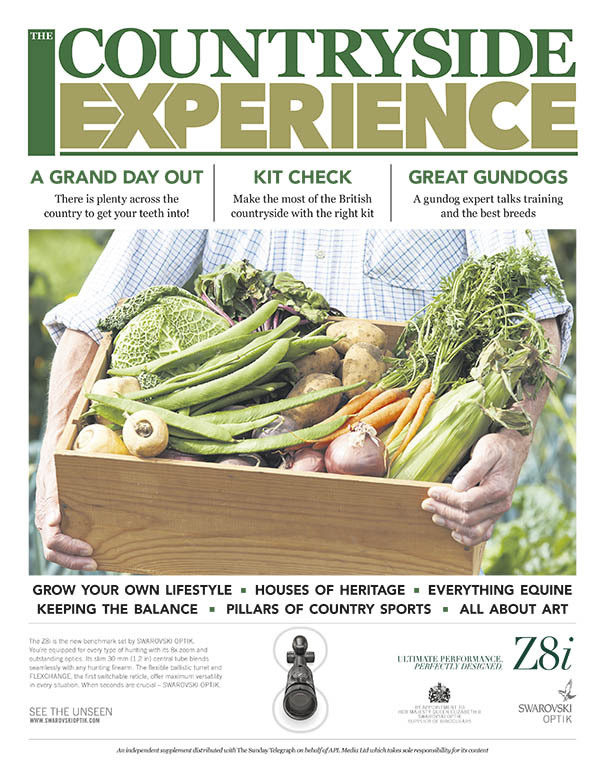 Packed full of interesting features from the great outdoors and the bountiful English countryside, including a guide on how to get involved with the pillars of country sports – shooting, fishing and deer stalking – the rich editorial gave readers the knowhow and tips they needed to get out in the fields this Autumn. We also spoke to some of the finest country artists practising their craft, went searching for the genes that make the perfect canine companion, and ate & drank our way up and down the country by visiting the finest food festivals. So, there was plenty to captivate any countryside lover no matter where they were! Click here to see the e-zine and to find out more. ‹ CALIBRE Quarterly Issue #10 Out Now!